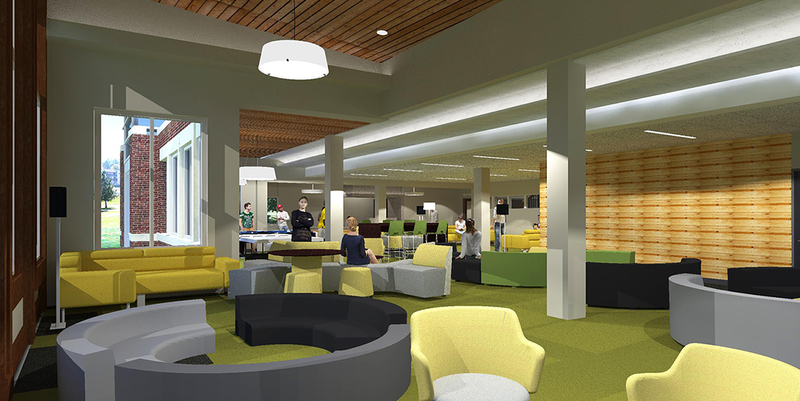 The new Market Street Residence Hall at Emporia State University will be an approximately 92,500 gross square foot facility consisting of 4 stories. 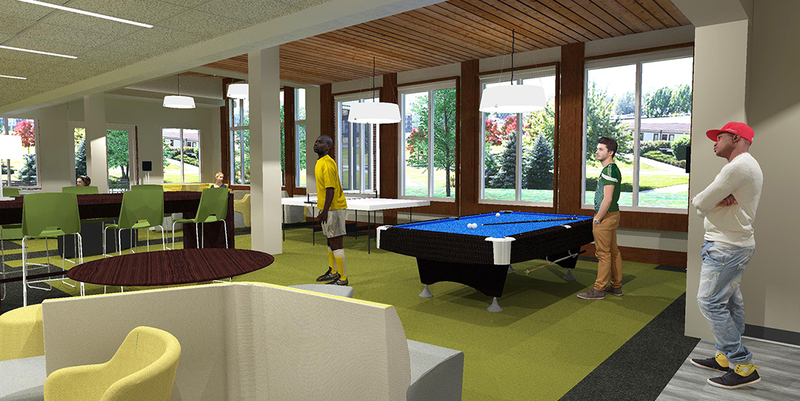 The design team has studied different options, the option selected by the design committee consists on one story “Learning Pavilion” attached to the residence hall including a total of 324 beds. The building is divided in 10 communities. 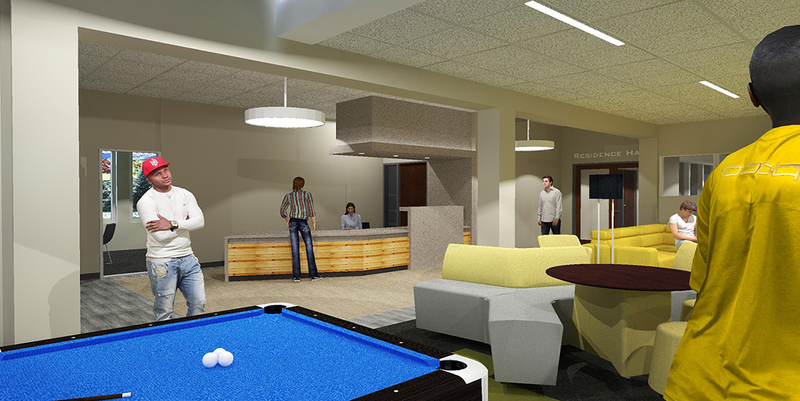 6 communities will include 15 double bedrooms (30 beds), one single (RA), and one single with a private bathroom (medical single) for a total of 32 beds. The other 4 communities will include 16 double bedrooms (32 beds) and one single (RA) for a total of 33 beds. 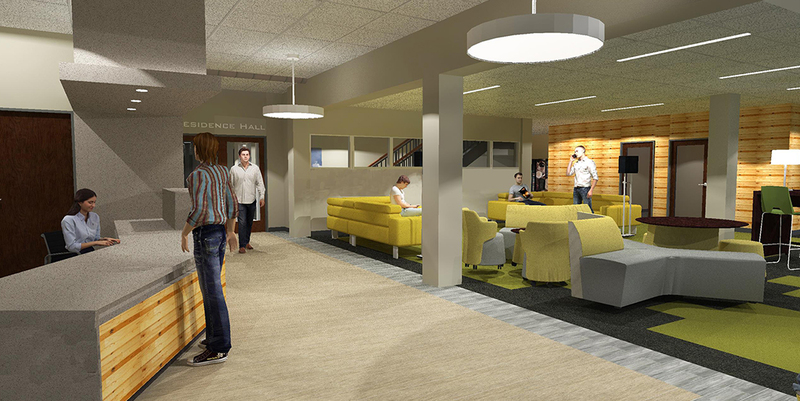 In addition to the residential community spaces necessary to support a residence hall, the Market Street Residence Hall will include living learning spaces as follows: tutoring spaces, small and medium meeting/study spaces, and flexible educational rooms.